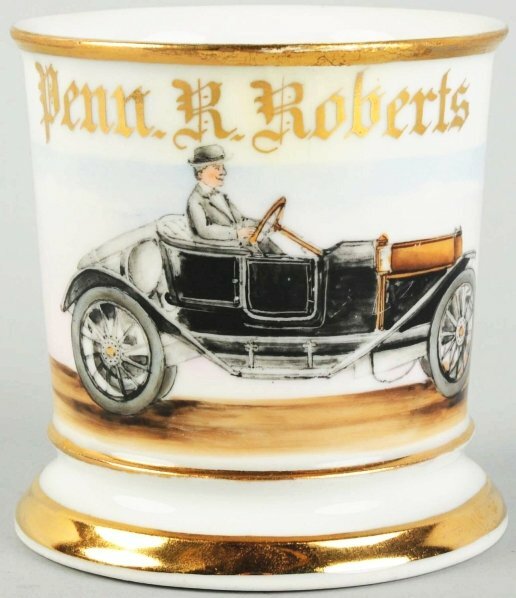 Automobile shaving mug with great image of early vehicle with a man behind the wheel. Has “Penn. R. Roberts” in gold gilt across front. Mug is dated 1911 and stamped, “Germany.” Nice detailed image. Size 3 – 3/4″ T.